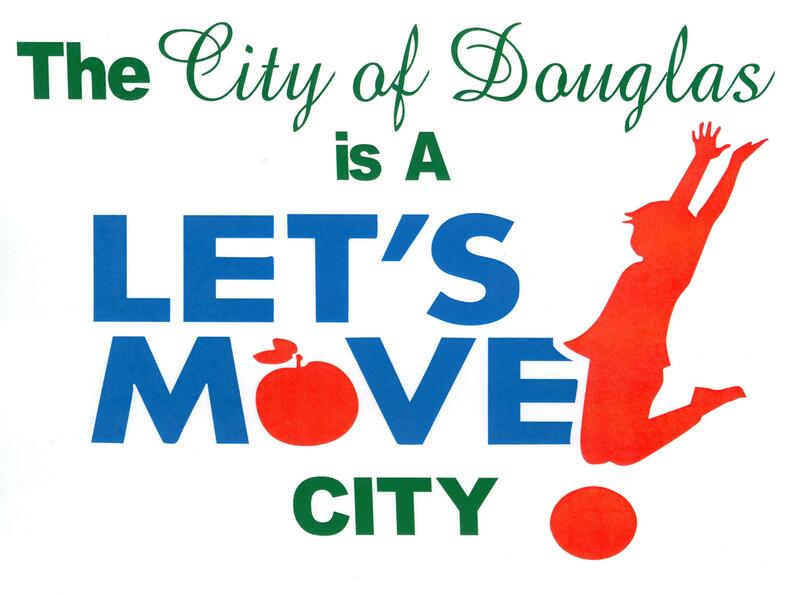 Douglas is a Let's Move City! It's Time to Get Fit! Get started with any of the fun and invigorating classes offered at Douglas Coffee County Parks and Recreation Aerobics Studio. We offer a variety of fitness programs to get you up and moving. FUN fitness classes for all ages. Chair Exercise - Increases flexibility, builds strength, reduces muscle aches and pains by adding breath and movement as you sit in a chair. Morning Stretch - Beginner class for those who have wanted to start a fitness class, but, didn't know where to begin. Water Aerobics - Exercise in a pool! Great for anyone with arthritis, pregnant women, and all those who don't want to sweat. Tones entire body, strengthens, and improves flexibility. Summer Camps - Summer camps for ages 4 & up offered in June and July. We offer year round special programs for senior adults to get up, get out and get moving! Douglas Senior Citizens Club - Ages 50 & older. Meets monthly on the 4th Thursday at the CE Weir Senior Citizens Building. Join us for fellowship and FUN! The Coffee County Busy Bees - Ages 50 & Older. Our motto is "Helping Hands - Serving Others!" Meet the third Thursday of each month at the Art Center. Douglas Singles Club - ages 30 & older. Monthly dances - every first Friday of the month. Ladies bring finger foods, men bring soft drinks. Club dues: $15.00. Call ahead to check dance schedule. 912-383-7332. 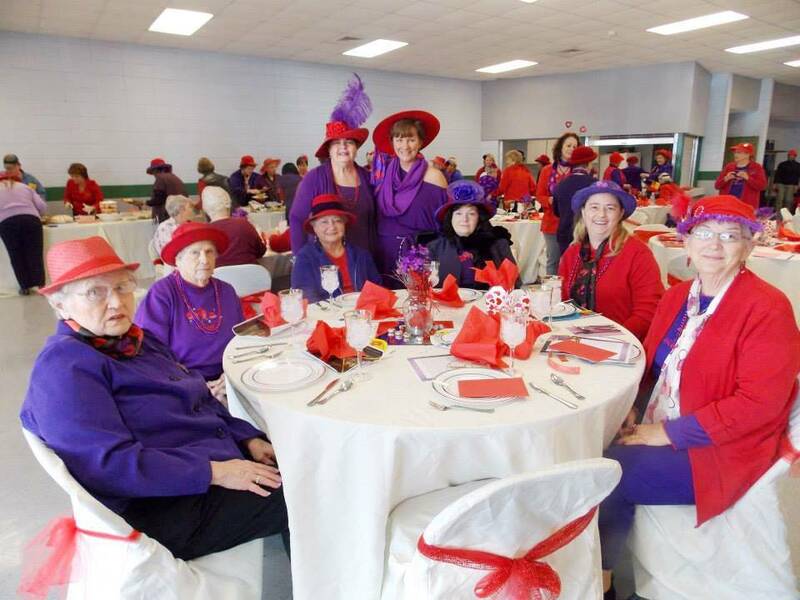 Red Hat Society - Ages 30 & up. Meetings are once a month. This club provides outings for women! Shopping, crafts, lunches and more fun with the girls! Fee: $8 per year plus trip fees. Southern Gentlemen's White Hat Club - Ages 50 & up. Meetings are once a month. This club provides activities and outings for men in our community. Fee: $10 per year, $8 Hat fee, plus trip fees. Artists and art supporter group. Monthly meetings are the first Tuesday of each month at 6:30pm at the Art Center. We sponsor the yearly Wiregrass Children's Art Festival in March. We offer special programs throughout the year for our youth! Click on the links below to check out what we are offering at this time. Looking for something for the kids to do this summer? Check out the programs that Douglas Coffee County Parks and Recreation have to offer. Call 912-384-5978 to check for availability in summer camps and swim lessons. For more information on Fitness or Special Programs, call Gina Gibbs at 912-383-7332 or email.